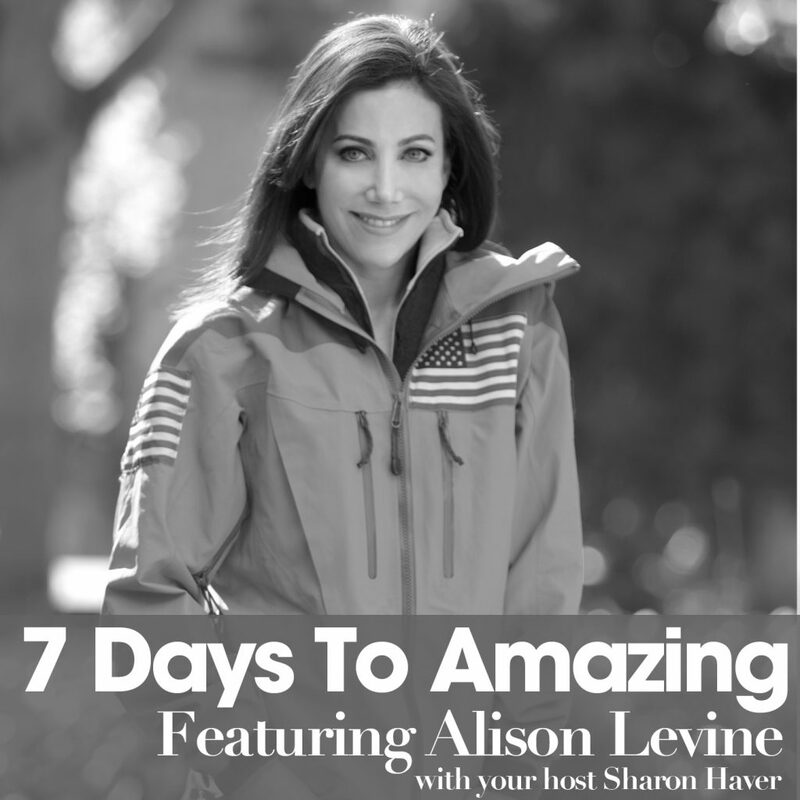 On this week’s episode of The 7 Days to Amazing Podcast, Hilary Eldridge – an accomplished Athlete, Fitness Expert, TV Personality, Public Relations Pro and Business Owner– talks about being true yourself in a way that empowers your life and the lives of those around you. We take a look into her athletic family history (she is the sister of Olympian Michael Phelps), businesses and her own personal development to get to the root of this strong and important message. Sometimes all it takes is a mindful outlook and shift in perspective to completely change your experience in life. Head over to Hilary’s website to learn more! You can learn more about Hilary Eldridge by visiting her website at www.hilaryphelps.com. To learn more about Hilary’s PR company, visit www.achillespr.com. 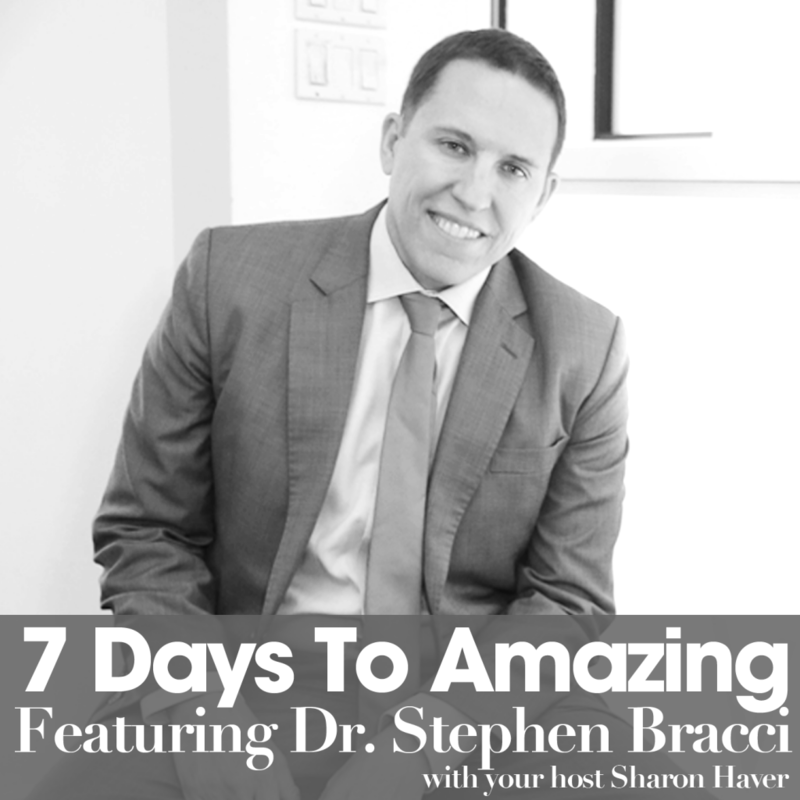 Welcome to the Seven Days to Amazing Podcast where you learn how to make your life, business and style even more amazing in the next week! Now your host, Sharon Haver, of FocusOnStyle.com. Hello chicsters I am Sharon Haver and you are about to be amazed I have a very special guest on today’s seven days to amazing Hilary Eldridge is a multi-faceted woman, she is a partner in Achilles PR a media and brand consultant, a TV personality, Iron Man, coffee connoisseur, I like that part, wife, daughter, sister, momma to be with a positive perspective, a glass half full, finds joy in all the little things. She hails from Baltimore Maryland and Hilary Eldridge is the oldest of three children born to Michael Fray and Debbie Phelps, from an early childhood she was always a trail-blazer, she was the first of the Phelps children to jump into the water and later into the world of competitive swimming, as her sister Whitney and her brother Michael followed suit in the years to come, Hilary’s passion and ability took her to The University of Richmond where she studied Criminal justice and Sociology whilst competing on a swimming scholarship. Mind you I am really impressed because if the truth be told, I can’t even float guys, so keep this in mind, ever the competitor Hilary continues here athletic journey by completing her Yoga certification in 2009, soon thereafter she registered for her first Iron Man triathlon, after nearly a decade out of the water Hilary resumed her swimming regime this time adding the progressive cycling and running miles necessary to compete in the daunting 140.6 mile, three discipline Iron Man, soon after completing Iron Man Lake Placid in July 2010, Hilary embarked on yet another journey the launch of Hilaryphelps.Com, her lifestyle website, as a decorated athlete and accomplished baker, all that athleticism really helps if you’re a baker, right? A regular at New York Fashion Week Hilary has applied a diverse experience in the sites content, ranging from fashion to food, fitness to geo-cultural issues, she began to delve even deeper into the over-arching concepts of her website the well-rounded woman defined by her life experiences, defined by travel and exposure, unafraid of new challenges, recipes, designers or deadlines. It was in effect the sheer happiness that comes with being the modern 21st century woman, a concept that she describes as finding the process of finding the genuine joy in all that we do. Hilaryphelps.com has seen explosive growth over the past 5 years as Creative Director Hilary remains the trail-blazer amongst the Phelps children recently expanding into TV in an array of lifestyle issues, including fitness, fashion and culinary nuances. Hilary’s current project is the One-Day One-Act initiative, a 12 month campaign under-taken with a strategic partnership with DLE Agency committed to empowering clients and colleagues to improve the lives of those around them by performing one selfless act of kindness each day of the calendar year. The One-Day One-Act platform is as simple as it is empowering small things done over a long enough timeline having a big impact, so let me catch my breath guys and introduce you to Hilary Eldridge, I am thrilled to have you here with us today. Hilary Eldridge: Thank you! I am thrilled to be with you guys, thanks for having me. Sharon Haver: Thank you, let me give everyone a back ground on how we originally met, I don’t even remember what year it was, it was a few years ago on Twitter, you had tweeted something, I can’t remember if you tweeted it to your mom and hash tagged me, or tweeted it to me and your mom, I thought “ Oh my god” Because of the family bond, I just remember for so many years just watching you as a family at the Olympics and yes, your brother is totally amazing behind anybody’s imagination, but what really struck me was the connection between you, your sister and your mom. The camera just honing in on your family, their faces and the expressions, the love and the joy of just really rooting for each other in a family, and it was really just watching the sheer joy, the site then was called Genuine Joy, and it really was such a joyful moment of seeing the bond of a family and for me that was one of the most implicit things and sticks with me time and time again through the Olympics. Having a family that is so connected, so if you would just help us I know joy is one of your things, growing up and how you really had that connection with your family and really just brought the world in that moment of feeling love. Hilary Eldridge: Our parents done a great job of raising us to be supported of one another in everything we did, in the intro you mentioned I was the first one to jump in the water and my sister and my brother followed shortly thereafter, we went to all the swim meets, my brother played La Crosse, my sister has done Tough Mudder, I did the Iron Man, so we have always had this athletic family, no matter what endeavor we were taking part in or what we were doing, we’ve always been able to look in the stands or look on the sidelines and see our family there, that was one of the things our parents really did from an early age, to stress the importance of that family support and love and being there for one and other and that has stuck with us for many years. Sharon Haver: I think that love is just contagious and we really see it in everyone’s face and I really think that having a strong family helps everyone make things easier and if you don’t have that it is about finding friends and natural family that can be there as your support, it is so critical helping the day go that much easier, knowing that there is someone else there that really cares. Hilary Eldridge: Absolutely, what is the say, it is not the ones that are there for the good times, it is the ones that are there through all times, whether it is the good, the bad the ugly, times when you feel you’re the worst human on the planet, it’s those times you are really down, it’s the ones that pull you in closer, those are your family, you’re right whether it is the family of origin or the family that you choose. That is one of the most important things in life, you talk about being amazing is surrounding yourself with people who always have your best interest, and those that are better than you in certain areas, they make you want to strive to be better in those different areas, whatever that might be. Then you realize they always want to be the smartest person in the room, always hey want to be the best person in the room, so by not having that competition around you that achieve more that bring you up a level to your desires and dreams and they actually support you, you never really get to the next level, it makes you very stagnant, it is kind of sad as you watch people get older and you can clearly see that they are holding themselves back by not being able to reach your next level and surround themselves with people that bring you up. 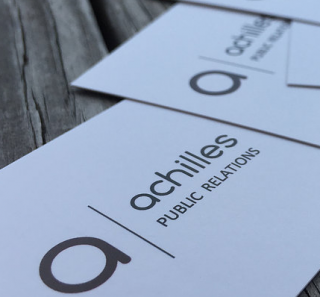 Hilary Eldridge: It is also a challenge; we have found with Achilles PR one thing to our clients is that ability to be the expert, we say this in our family, everybody has their role. When we were supporting Michael, the coach was the coach, we were the family and the agent was the agent and at Achilles PR it is the same way, we are the media experts, we are the PR and we are going out on your behalf and I think those that succeed whether it is personal or in business have the ability to say, this is my expertise, I am staying in my lane, whether it is making the best muffins, or the best lipstick or being the best athlete, or whatever it is and I am going to surround myself with people who are better than me in areas that I need them to be, whether it is supportive family or media outreach that I need get people’s eyes on my brand, it is knowing when to let go of control, it is also very challenging for people to say, “ I am going to do my thing, I will let you do your thing, and from there we are going to grow” and be better. Sharon Haver: To get to a certain level of excellence you do have to be a control freak to a degree, but you also have to be able to know when to put the controls into someone else whose abilities are stronger in that situation. It is a fine line for a lot of people to cross, I think it is hiring right, bringing on a team of people you trust implicitly that they know what they are doing. Sharon Haver: It is so difficult, especially with people in the virtual world where they claim you do a lot of things, then you find out that it is not the case, but it is finding the right person, or finding someone who is prepared to look after their clients. Hilary Eldridge: We laughed about that with one of clients the other day, she said “entrepreneurship is not Instagram worthy “ and we thought that was so poignant, for all the things you can put out there, all the great things, the positive things behind the scenes you’re up until 2am and you’re taking phone calls from across the country or across the world, whatever it is the client is in need and your not putting that on Instagram, there is so much that goes on behind the scenes that people don’t see that you can make really pretty in the media space, the digital space, Instagram space. Sharon Haver: I think a lot of it also comes with confidence, I know for a fact if you see me right now with my cold I am just no Sarah Burke and finger nail, do I put a photograph with a broken fingernail and no make-up on Instagram and say “ hey look at me, what a beautiful day”, you don’t but you learn when you have to do something, you don’t want to lie to people, but you are representing a more polished professional image, that is another thing I took back form this conference that I was at, it is a problem with entrepreneurship particularly with people who don’t go to an office, who work from home or work from really casual atmospheres, they get really sloppy in how the present themselves, sloppy in who they are because they think that nobody sees that, it does permeate what you do and when you leave you do need to have that veil of professionalism out there, how many pictures of coffee cups and IPAD’s does somebody want to see on Instagram, they are not even their pictures, they found somebody else’s pretty pictures of coffee cups and pens, you have got the right team here to talk coffee too. It is interesting when somebody isn’t an entrepreneur and you’ve seen your whole life, as a strategist how do you tell them to represent themselves in a social way that it does build a list of fans a little more than followers and you’re still real and you’re still credible, when I look at somebody all dolled up in a pink outfit and macaroons, I think, that’s not credible you’re not really doing that. So how do you still share and still be credible? Hilary Eldridge: I think for me and for our clients is authenticity, there is a way to tell your story in a way that is appealing, not exaggerating or creating a false reality. I think authenticity is where it all starts, without that it is just fake imaging, taking somebody else’s picture or posing with a macaroon, those are really idealistic and beautiful, but I don’t know anybody that eat macaroons and wears pretty pink outfits every dayall day. Sharon Haver: When was the last time you had a macaroon? I actually called them the macaroon girls, I have a business coach and she was saying” Other macaroon girls follow the macaroon girl” Yeah, but it is not my thing, I don’t eat that much sugar, when I eat a macaroon I remember the next day, that was a lot of sugar it is still with me! It has become this copycat symbolism especially for women in business, I don’t find that to be very empowering or strong, how do you present someone that is a very strong empowered well rounded woman, which you are, be smart and powerful, that is the best thing you can be. Hilary Eldridge: And be genuine and authentic, without that it is just fake, and some days aren’t great and it is owning that without deprecating, its being real because people like realness, there is a time and a place to like pretty pictures or look at pretty photos because theyare visually stimulating and nice to look at, when it comes to telling a story of a brand, it is really important that you stay authentic, I keep coming back to this word. That is what diversifies you from every other person out there and you might not be the most popular but you are staying true to who you are and true to your brand and your message. Sharon Haver: Absolutely and I think that is so difficult for people to do, and why do you think so, is it because they are lost to themselves, are they hiding from themselves or afraid to deal with their own authenticity, or they don’t know. I always look at it and think, why do you want to be a copycat fake version of someone else, when you could be a shining powerful version of yourself and they stare at you glassy eyed. I find that interesting, why do you think people have a difficult time being real? Hilary Eldridge: I think people find what works and gets the most amount of likes, at the end of the day we want to be liked, feel loved and feel that people are listening and paying attention to us, so instead of going and creating something, it is scary, I think you would agree that going out on your own doing something that people may or may not like but being authentic is really scary because it opens you up to criticism, and people aren’t always nice, especially when it comes to the digital age and social media, people say whatever it is they want or whatever it is that will get a rise or clicks to draw attention to them. I think a really important thing is to stay true to you, you might not have 300,000 followers or 3000 followers or whatever that magic number is to you, but you are staying really true to who you are, I think that always accounts for growth, it might not be the fast growth, but you never lose message and you never lose credibility, and I think once you lose credibility and once you start putting out stuff that isn’t true or following what everybody else is doing, it is hard to get that back. Sharon Haver: Also as you grow as an individual as a human, you might also lose fans or followers who aren’t growing with you and you leave them behind, and I think you need to be ok with that too, in your own development as you will find the next batch of people who will grow with you, I think that is difficult for a lot of people as they rest on their laurels and hang onto their pink macaroons, definitely too long in the tooth for pink macaroons, maybe it is time to go up to cheesecake. I think it is so difficult for people to say that sometimes and be able to say that not everyone comes with you as you grow. And it is ok.
Hilary Eldridge: And that is life, and I use this analogy all the time, when I was in kindergarten or elementary school, the biggest challenge was you were upset you had to take a nap or you weren’t picked first in dodge ball or whatever it was and you thought that things got better when you got older, the problems and the challenges are still there they just evolve, as we grow our challenges evolve and grow as well. Sharon Haver: I will tell you what sticks with me, I was the kid who was never picked for dodge ball or team sports, I was always at the end, everyone was thinking, who wants Sharon. I was never the most team sports kind of girl, at that time it made me feel really sad, after a while when I was getting older, I knew nobody was going to pick me anyway and I realized I do have my other sports and I am competitive in my own way, being an only child I am just not a team sports person. I remember as a kid growing up, thinking who wants Sharon, it was sad, now I can laugh at it and the funny thing is my son is not a team sports kid either, I remember when he was on the basketball team because he was tall, but he was great at skiing and my husband was fantastic at skiing as well, so it seems I have married into someone who is way more athletic than I am, but they are just also not team sports, it is knowing what your boundaries are, and getting past that horrible moment when no-one will pick you for the team. Hilary Eldridge: I also think it is remembering that moment, that defining moment when you felt really sad and being to translate into things that are happening now, and knowing that this isn’t the end of the world either, it is about looking at the problems and having the perspective. At the end of the day it felt really sad to you and it felt that you were being left out, but ultimately you are ok.
Sharon Haver: Yes and I think by the time I got into 5th grade I was ok with it, I realized I could dance, you can’t dance, I could do other stuff, I have a really high reading level, you don’t have that, as a kid it is different, but I think that so many people hold onto the things you can’t do instead of celebrating the things that they can do, that is so important as you grow, laugh at what you can’t do, who cares, celebrate what you can. Hilary Eldridge: 100% agree, embrace the things that work. Sharon Haver: Yes do what works, not everyone can do everything, that is what makes the world special, so tell me you have an interesting very disciplined things behind you but if you had to pick someone for a role model or an icon who would inspire you and shape way, even if it was a bunch of different people, who was the one when you were growing up that got you going? Hilary Eldridge: Gosh, from a swimming standpoint when I was younger because I swam my entire life, it was Janet Evans, she was the one I looked up to athletically, she was an Olympic swimmer, she was a distance swimmer which was the event that I swam my entire life, I swam the mile, which was the event that nobody wanted to swim, and oddly and this is going to make me sound such a nerd, I had a poster of Albert Einstein in my room. Janet Evans and Albert Einstein were my athletic and academic heroes and I looked up to them, but now as I look back and as cliché as it sounds, my parents, and also as we are about to be parents ourselves as I am about to be a mum, I just realize how hard parents work, we laugh, we make fun of them now as my mom used to water down our Gatorade, it sounds really weird, we all swam and we thought that was the way it tasted, it was basically Gatorade flavored water, when we tasted it for the first time, we thought “ this is what it tastes like?! !”, my point in saying that is that parents will do anything for their children, we never went without, my dad worked three jobs, so we could all swim at a really high level, they really gave up a lot for us, as a child we took advantage of that, we took it for granted, and now I look back I am in awe, they really set us on the right path. I really look up to the things that they did and the things that they gave up for their children. Sharon Haver: I would say the same thing too, when I became a parent, I had a different respect for my parents, I always did, but as I was an only child, we were very tight, one of my biggest regrets was that my father wasn’t able to meet my son, he didn’t live that long, I always felt that he was with us, I think it makes a good upbringing and it makes you stronger and you pass it down to your children or your child, I am totally with you on that one. I know we met at Fashion Week, so tell me what does style mean to you, how does that inspires you, you have such a beautiful personal style and it is really part of everything that you do, it is also what makes you amazing and helps you stand out in the sports and the intellectual back ground as well, it is really important to make you a well rounded person. So how does style get into your head, how does it inspire you, what does it mean to you? Hilary Eldridge: I think with fashion whether it is hair or style, it is whatever makes you feel the most beautiful, the most like yourself, clothes and fashion is an external image of what is going on inside, when you look good you feel good, if you feel good you do good, and with so many people working at home, I have an office at home and an office downtown, even when I am at work at home, I always put on some makeup and my jeans as it makes me feel more present in my day. When I come home at the end of the day I love a good pair of sweatpants, but I try not to work in them, because you’re right, it makes me feel sloppy and the older I get, for me style isn’t trendy, because those looks don’t always work with my body, and it’s putting out a false image, that is not who I am, so I find things that work for me that make me feel really beautiful that fit really well, I do believe in good tailoring with things that fit great, instead of trying to fit myself into the trends, I try to find things that look and work with my body and my personality and I go from there. Sharon Haver: I think that is so important and I always say you have to be present in your presence, when you work from home and you will be seeing when you become a mom, you’re doing the play ground circuit and you need to wear clothes that you can go to the play ground with, or maybe taking a client call, you’re still casual but you’re still pulling yourself together and being present in your presence, you don’t feel Oh my god, somebody caught me I am having a bad day, you’re wearing t-shirt and jeans, but they are the right t-shirt and jeans, so you look more put together and polished and that same put together feeling affects your daily work , in everything you do, it makes you feel better, you might be barefoot, you’re still present in what you’re wearing. Hilary Eldridge: The older I get I think a good lipstick makes me feel great, finding a really dynamic color, even if I have jeans and flats and light button down shirt and I put on a bright red lip, and it totally changes how I feel about myself, and that is style, adding that little bit extra makes you stand a little bit taller, smile a little bit brighter. Sharon Haver: Especially when you go out of the house a little concealer, some lipstick, some brow, you are good and you suddenly look polished. Hilary Eldridge: For a few seconds it is that right color. 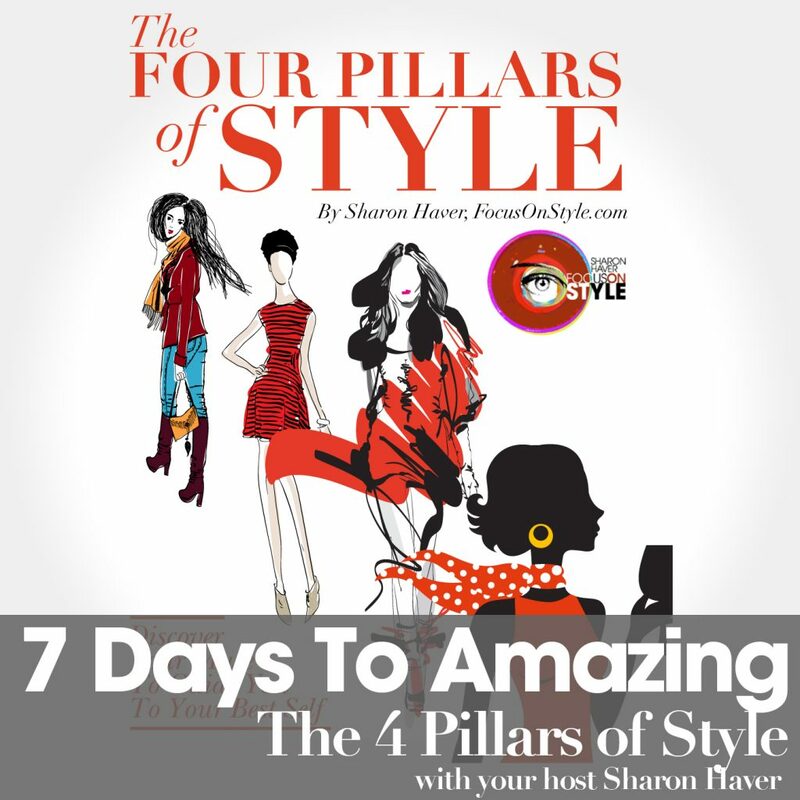 Sharon Haver: Let me ask you, I like to ask people this all the time, in each of one of our episodes, if you can tell someone, what can you do to be more amazing in your life, business and style this week, what takeaway tips can they take, these are the Hilary tips and I am going to try this week to be more amazing and up the level of my authenticity and to excel? Hilary Eldridge: Three of my favorites are just be authentic, be you, I am a big quotes person, be you everybody else is taken, there is nobody else, Dr. Seuss says, you are you, that is truer than true, there is no-one out there more youer than you. I think so often we try copy somebody else or emulate somebody else, because we see them and think wow, they have got it all together, and it is hard not to compare our insides to what somebody else looks like on the outside, I think that staying authentic and true to yourself, bearing in mind we all have bad days, we all do go out of the house looking disheveled, but you can start your day over at any time. So for having a bad day, a bad moment, having a bad call, I get stressed, I go out go for a walk and I literally hit the reset button, you know what the rest of my day doesn’t have to be impacted by this one thing. I love that. Also be the change, so often we complain about what is not happening or what is not right, but we ourselves are so unwilling to do it ourselves, so if we see something that is not working or we see something that we don’t like, instead of complaining about it, do something about it, be the change that you want to see. Lastly, I love genuine joys, find the genuine joy in all that we do, and I found that helpful for me to change my perspective, and some days it is harder than others, if I am driving and I am stuck in traffic, I drive back and forth between DC and Baltimore often, when I get stuck in traffic, this is awful, I am going to be late, you can go down that path and be negative and spiral downwards, I say, my heating works, I have a CD player I love this song, I am in a car that is going to get me there safely. It is just that little change in mind set that goes a long way, some days it is a lot easier than others, some days it is a little fun to complain and be resentful, cross your arms and forget this, but it’s those days that I find when I can shift my perspective and shift my thinking that seem to get better, slowly. Doing something small like that and changing perspective is really helpful. Sharon Haver: I think this shift is so important, allowing yourself to be annoyed and pissed off for that little amount of time, then next, figure out what is next. So what is next for you is the One-Day One-Act initiative, that sounds fantastic, do you want to tell us a little bit more about it? Hilary Eldridge: We work on small things over a long enough time period add up to big results, if we all do tiny little things one day at a time to help others to help ourselves, it really creates that big shift, someone wrote the other day, my blind neighbor worked their dog and didn’t pick up after the dog, so I did it for them. It is those little things, those little acts of kindness that might not seem huge to you but make a big difference to one person, but then collectively the world on a whole, that is at a larger level. Holding the door for someone, saying Thank you, and it leads to bigger and better things, we talked about the evolution of us, sometimes people are left behind but it becomes an evolution, doing one small thing, the next day maybe it is a little bit bigger, the next a little bigger, and everybody collectively doing these great things, not only them but everybody, that is a real change and a real shift in our community. Sharon Haver: Even just saying thank you, going into a restaurant, going to get coffee, and someone saying Thank you, going into a little boutique store and someone saying hello, if you cant look up and acknowledge someone and say hello, or say Thank you when they hand you your coffee, or your glass of wine, it is the little things like that, making people feel not invisible. Helping other people makes society and your day that much better. It is really simple, a couple of syllables a day can really lighten up somebody else’s world and worse those couple of syllables can really ruin their day. Hilary Eldridge: Be empowering just be courteous and kind, it is just those little, you’re not going above and beyond, you’re not going out of your way, holding the door, saying thank you. Smile at somebody it makes a big difference. Sharon Haver: Making eye contact when someone talks to you, that one is one of my favorites, looks at me. If you’re shy and looking at the ceiling, that is a different story, but if you’re just too pre-occupied scanning the room, why am I sitting there having lunch with you? Hilary Eldridge: Or they are on their phone, you get that a lot. Sharon Haver: Now that my son is older and my husband are having dinner, we were texting, he was like the last of the non texting Mohicans, it has taken him a long time to get into it, just put the phone down, leave it there, if it lights up it is an emergency we can deal with it, if someone wants to know where their kid is, you’re having dinner, get back and engage in conversation, that is why we met each other and got married, sometimes it is so hard, gripping that phone, no put it down, put it down, human interaction. Hilary Eldridge: I know that is something that is so hard, being pregnant, sometimes and myself included I just go for a distraction, I am bored, I am just mindlessly seeing what is going on, it is not benefiting me in any way. Sharon Haver: My I-phone just croaked on me the other day, it was an easy fix, I was getting on a plane and with a colleague and I realized I cant call Uber when I get off the plane, I couldn’t call a car service as I didn’t have a phone, he was like, “ Oh you can use my phone you can wait with me I will just take a taxi, I want to make sure”, I said “No, one day I remembered I didn’t have a phone when I got off the plane, I just had a right hand that I could put in the air and hail. I could still get off the plane, get my suitcase and hail a taxi, and you can really do that, we are so stuck in our phones, I have got to text Uber, I have got to get this car service, you could have a life without having a phone and probably survive like we did for centuries before. It was the reaction, how do you get off a plane without a phone? Hilary Eldridge: Be more present, there was one day that I accidentally left my phone at home when I was out doing errands, without thinking my hand was going into my bag to look for my phone, I am not looking at who is texting, I am not looking at Instagram, I am not looking at Twitter I am not looking at all of these things, I am just going to do what I have to do and go home, it was nice to disconnect. Sharon Haver: You still put your hand in your right pocket, it is not in there, I am going to have to look around me for a while, and you realize this is really godd, I still wear a watch that I never look at, but I love my watch and the days when I don’t have my watch on, when I get dressed and forget to put it on, I am feel naked, where is my watch, but I never look at my watch for time, I look at my phone. Hilary Eldridge: I was at a coffee meeting and someone had a watch, I said” What does that say”, it just said NOW. Sharon Haver: That is so funny. Hilary Eldridge: The time is NOW, this is the moment, it doesn’t actually tell time, the guy got it for a fun little gag gift, on this website, but it reminds her to be in the moment, whenever she is frantic or hectic and I look it just says NOW, so cute. Sharon Haver: I have my watch, I always wanted this watch, I got it as a present from my husband when I was pregnant, I love my watch but I never look at it, I change it’s time every time I change time zones, I put it on every day and it’s not waterproof, so it take it off every time I have to get wet, I love my watch, it is like a bracelet. Hilary Eldridge: It is your style. Sharon Haver: It is my thing, my style. Hilary Eldridge: So tell everyone how can they get in touch with you on your websites, PR, social media, what is the best way to find you Hilary? Hilary Eldridge: Our website is http://www.achillespr.com, I am on Instagram as Hilary_Phelps, and then on Twitter as Hilaryphelps. Sharon Haver: Cool, and we will put all the links below for everyone to find you; this was great, thank you. 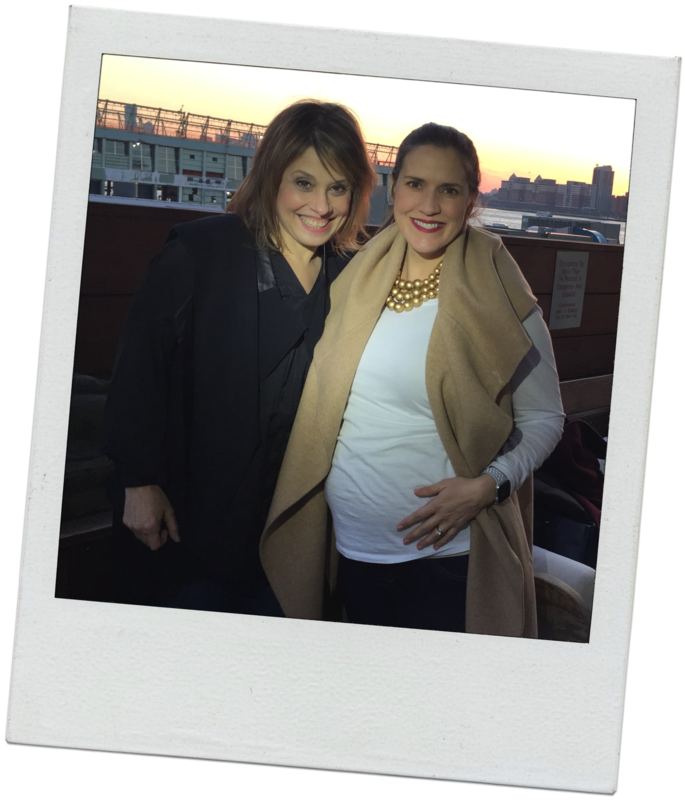 Hilary Eldridge: Thanks for having me. Sharon Haver: See you soon the next time you are in New York. Hilary Eldridge: I am coming up for Fashion Week. Sharon Haver: I am taking it slow this year but I will be there, I am doing more of my amazing business stuff than the pure fashion stuff, see shifting, but I like that as well. Hilary Eldridge: I love it, evolving. Sharon Haver: Evolving I know, I think it has been 18 seasons of Fashion Week, or I think that was when I stopped counting. Hilary Eldridge: It is a lot. Sharon Haver: I know it is a lot, when I had my newspaper column, I had to go crazy, covering every show as it happened, when it happened, at first there was a thrill of it all, then it was, no no not again. Hilary Eldridge: It is a lot of work. Sharon Haver: It is a lot of work, I think Fashion Week has also evolved, I don’t think it is the same as it used to be, with internet and Livestream, bloggers have come in and changed it, I think it is very different, I am curious to see how that evolves on the American front, so we will see. Hilary Eldridge: I was just reading an article called the death of the fashion scene, it talks about how much it has evolved, cost cutting, just put it online and stream it, it has really changed, I think when it left Lincoln Center last, it was so spread out, all the shows were all over the city. Sharon Haver: It started out as being all over the city when it had Brian Park, before at the Lincoln Center, I really liked that, it think with it being spread out now, it is such a crazy show, from people trying to get to one show to the next, the competition, the real media and the bloggers, who is the personal style blogger who got all the free clothes and standing there and posing, every one is standing there, like fans, and next season it is, who was that person again? I think everything has changed, with the immediacy of the how the world works right now, now you can get top designers clothes, click on it and buy for a limited time and pre-order it, Zara, will copy it in 10 minutes, I think it especially the American market, more so than the European, it is very different, I wonder how it is going to pan out. Are people willing to wait 6 months to buy something, or someone has a similar version now, I think it morphs into wear what you like and trends become secondary because of the timing. Hilary Eldridge: It all goes back to style. Sharon Haver: It all goes back to style, it all goes back to what looks good on you, I will tell you one thing, as an audience person, who is not in the fashion, when you see them step on the runway, and you think it is really cool, I bet there was a designer who did something really similar and it didn’t fly, because they were ahead of their time and you can find that on the sale rack right now and it is the same look. Fashion merchandising, that might not be the best of the designers bank though, but as a consumer you can get stuff pretty much anywhere if you keep your eyes open and on the sale rack to, and anyway thank you so much for being with us today, and I will see you soon. So everybody go to http://www.achillespr.com/, on twitter it is hilaryphelps, one word, on Instagram it is Hilary_phelps and I hope everyone follows you soon. Thank you again for being here Hilary. Hilary Eldridge: Thanks for having me Sharon, have a good night. Sharon Haver: You are welcome, bye bye.